When a couple gets divorced, they will often be able to easily follow child custody and visitation arrangements. However, this can be complicated when one of the former spouses moves out of state. Here is some important information regarding complicated interstate visitation arrangements. The most amicably settled divorce can be thrown into complete disarray if one of the parties relocates out of the state. Often, the party who relocates does so out of necessity, pursuing career or relationship opportunities, but this provides little solace to either side, who must now renegotiate custody or interstate visitation. There is also additional emotional stress for the parents because a court-ordered remedy to any disputes that arise becomes more difficult to achieve. Contact us today for help resolving complex divorce issues that cross state lines. Jean M. Mahserjian, Esq., P.C. provides New York matrimonial and family law services to any individual who is subject to the authority of a New York court. Given the mobile nature of our society, many of the matters we handle involve issues of interstate support, custody and/or divorce. 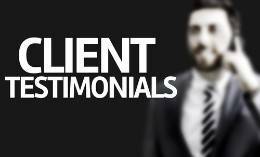 In those matters, we represent litigants who reside in New York and those who reside outside of the state. If your family law issues involve disputes that cross state lines, you need a qualified Saratoga County interstate visitation attorney who is familiar with the rules of civil procedure and the court process in such cases. 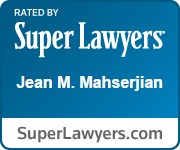 Call one of our Saratoga interstate visitation rights attorneys at Jean M. Mahserjian, Esq., P.C. at (888) 919-1380. We will be happy to answer your questions and schedule an initial appointment at our Clifton Park office. You can also schedule an appointment by contacting us online.